This was one of 6 films Chelo starred in 1959. She only appear in 19 or so films so that's a big chunk of her career in movies. This was one of Steve's 5 films that year. They were both very busy. 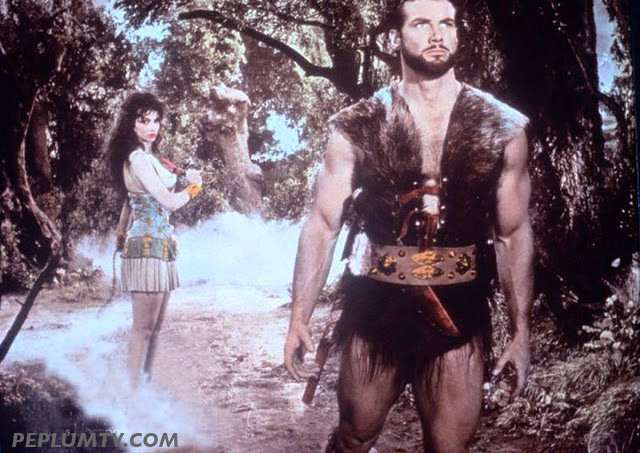 While Chelo's garment is pretty classic in the genre, can Steve's garment be considered a fur tunic? Hard to describe his costume there. Another classic with no stellar / HD print available anywhere. Check out the list of hard to find classics.